Daytona Beach may be best known for its 23 miles of white-sand beaches and endless waterfront adventures, but it certainly offers its fair share of indoor activities, too. The Florida sunshine prevails most days of the year, but the occasional rain showers have been known to happen. When they do, fear not — your family still has lots of entertainment options. You can walk through a variety of local art galleries, head to a local distillery to learn how your favorite spirit is made, or soak in a show at any of the area’s many cinemas and performance venues. So, the next time the weatherman isn’t on your side — or when your family simply needs a break from the sunshine — head to any one of these fun indoor adventures! 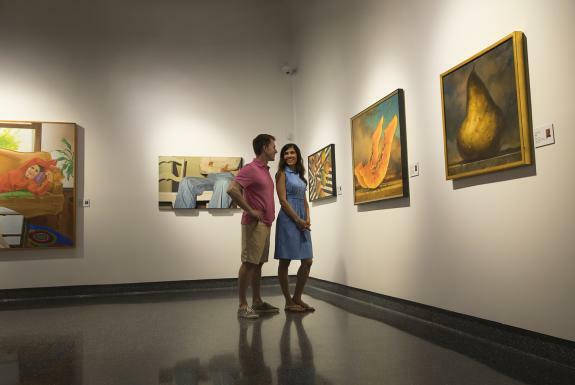 Spend hours perusing Florida and international art exhibits at the Museum of Arts & Sciences (MOAS), a Smithsonian-affiliated museum and Central Florida’s primary art, science and history museum. 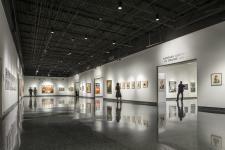 Situated on 90 acres, MOAS is the proud home to nationally recognized artworks and includes a Napoleonic collection, an American art collection, a Coca-Cola historical collection and the Cuban Foundation Museum collection. In addition to the fine and folk art collections, MOAS also features a state-of-the-art planetarium and a popular children’s museum. 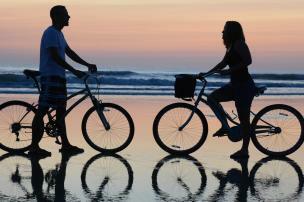 Daytona Beach offers a variety of places where you can discover new treasures. 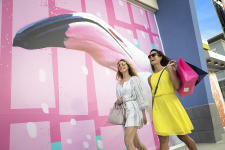 Head to the Riverfront Shops of Daytona Beach in historic downtown between Bay Street and Orange Avenue to enjoy perusing dozens of locally-owned stores. 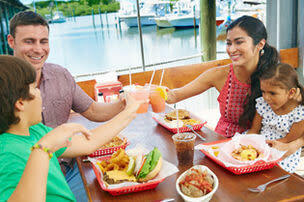 Or, weather permitting, go to Tanger Outlets Daytona for a little bit of indoor/outdoor shopping and snacking. And, if you need to be completely indoors, Volusia Mall is a great place to spend a few hours — you never know what deals you’ll come across! Pro tip: Before leaving home, only pack your suitcase about halfway to leave room for your awesome new finds! When the weather outside is looking frightful, head to Sky Zone Trampoline Park — your family will be so excited they’ll be bouncing off the walls! 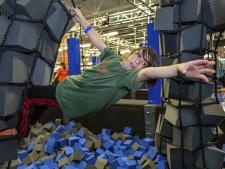 This trampoline park features fun for all ages with an array of foam pits, trampolines, obstacle courses and more. When you’re looking for a way to expend some energy and make memories, Sky Zone has you covered. General admission starts at just $15.99 for an hour of next-level fun! Another good place to jump for joy is Hangar 15 Extreme Air Sports, where you and the kids can catch major air on over 16,000 square feet of tramps! Recharge your mind and body. There’s no better excuse than a rainy day to slip inside a spa for a little bit of pampering! From organic manicures to full-body massages, there are several locations where you can relax and renew in Daytona Beach. 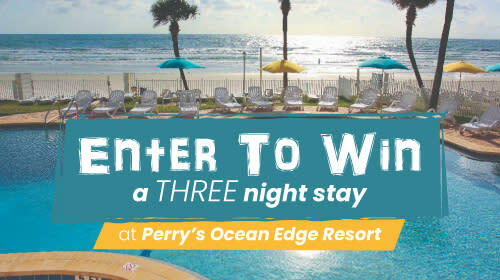 A few of the available options include Remedy Spa at Pelican Bay in Daytona Beach, The Spa at Riverview in New Smyrna Beach, Daytona Beach Spa and Wellness Center off East International Speedway Boulevard, The Shores Resort & Spa in Daytona Beach Shores and Rock Spa & Salon at the Hard Rock Hotel Daytona Beach. Unwind your mind and your body, and you’ll walk away feeling refreshed and ready for another adventure! Daytona Beach has many theaters, playhouses and entertainment venues that allow music and art to transport you far, far away. World-class opera ensembles, bands, ballet dancers, Broadway shows and entertainers come every year to the Peabody Auditorium — former headliners have included names like Elvis Presley, Jerry Seinfeld, Louis Armstrong and Liza Minnelli. But the razzle and dazzle doesn’t end there — Athens Theatre and the Ormond Beach Performing Arts Center both offer a wide range of local and international talent, too! Looking for a laugh? 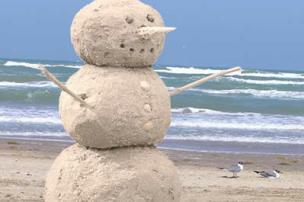 Daytona Beach offers a handful of comedy clubs and stand-up comedy performance venues. Each week, Tuesday Improv Comedy at Cinematique! delivers laughs to Daytona Beach. For just a $5 cover charge, you can experience the comedy troupe called Random Acts of Insanity. With new material each week to ensure no two shows are ever the same, this interactive and impromptu show is always a hit. Or, head down the road to Port Orange and settle in at Bonkerz Comedy Club. Enjoy comedians who have been featured on major TV programs such as The Late Late Show, Good Morning America, Comedy Central’s Up Next, FOX’s Laughs and so many more. Only guests ages 21 and up are invited to attend this venue. If you’re feeling crafty, you can tap your inner artist and make a one-of-a-kind souvenir out of painted pottery at Whim Wham Art Studio. Or, mix up your own masterpiece at Masterpiece Mixers in Ormond Beach, the perfect spot for a group art lesson, but make sure you plan that in advance. It’s BYOB, and the studio provides the canvas, the paint and the brushes. The professional teachers guide classes through step-by-step instructions to create a piece of art that you can take home at the end of the class. Talk about a memorable souvenir! Engage in fun family games. 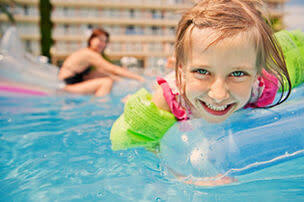 For hours of indoor family fun, take your crew to Daytona Lagoon Waterpark Entertainment Center. Although the water park is only open from March through September, the entertainment center component is open all year round! Climb along 2,500 square feet of the Sky Trail® Navigator ropes course, zip down the zip line, play laser tag, or display your strength at the rock wall. Fulfill your need for speed at the go-kart racing track, or challenge your family to a miniature golf tournament. Head to the arcade for classic games and hours of fun. Plus, you can refuel at the on-site eatery after an afternoon of playing. Escape — or try to! Your vacation group will be closer than ever after the problem-solving and team-building required by Escape Room Adventure of Daytona Beach. Puzzle through real-world problems in order to reach your next task — and complete the next task if you want a chance to “escape” and win the game. It’s an engaging, stimulating alternative to some traditional indoor activities, and will be fun for your whole group. So no matter the season or the weather outside, Daytona Beach offers a list of fun inside activities as long and wide as its beaches. In fact, you will probably want to hit these hot spots no matter what the forecast looks like — start planning your trip today! 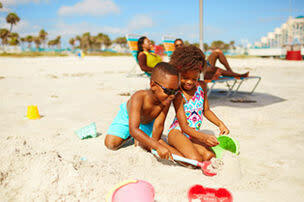 Enjoy a look at everything Daytona Beach has to offer! Download our free official visitors guide or sign up for our e-newsletter.